Howdy, Dinosaurs and Robots! Thanks to Mister Jalopy for the ltra-kind introduction. I'm writing this from my living room control center, nursing a touch of laryngitis I developed after my annual SuperBowl fondue party. That's right. I think I'm the first person in history to lose his voice at a fondue party. I moved to Eureka, California last year after spending a year teaching at a community college in Huntington Beach. I liked Huntington Beach, but I always got a feeling that its best days were behind it. It's used to be a cool, laid-back surf town, but now it's busy paving over the dive bars and cheap motels to turn Huntington Beach into yet another faceless Southern California luxury hotel destination. Pity. Eureka (and to a greater extent, its sister city, Arcata) still flies its freak flag proudly. Not long after I moved here, I knew I had found someplace that felt like home. My wife and I moved into a cute little rented Victorian house within spitting distance of the Carson Mansion (pictured above), the former residence of a lumber baron that has now been turned into an exclusive "members only" club. We can see the Humbolt bay from our bedroom window and walk to the store for groceries. 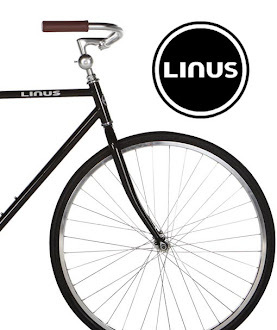 What more could a person ask for? The people in Eureka are by far my favorite part. My wife and I have lived in Eureka for all of six months now, and we had 40+ people show up at our SuperBowl fondue party. I'm continually running into amazing, accomplished people who achieved great things beyond the redwood curtain, and wound up here for one reason or another. There's not a ton of ethnic diversity up here, but in a broader sense, it's even more personally diverse. My classes are filled with all kinds of people with experiences I'd never dream of having in my classes elsewhere: the football player taking art classes who just finished three tours of Iraq, the cranky ex-beatnik Libertarian dude and all of the kids who moved here from across the country in hopes of fitting into the "Humboldt economy" (wink wink). 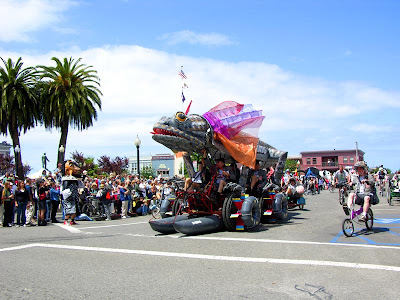 The North Coast is also home to the annual Arcata to Ferndale Kinetic Sculpture Race. There are other "kinetic sculpture" races in the country, but this one is the grandaddy. The race started back in 1969 when a few friends created some bizarre foot-powered vehicles to race in the tiny Victorian town of Ferndale. 40 years later, there are generations of Eurekans who don't know any way of life apart from kinetic sculpture. They think that it's just what families do in their garage during the rainy winter -- construct massive pedal-powered sculptures that have to be raced on pavement, water, mud and sand. I'll definitely write more about the Kinetic Sculpture Race later. In short, I feel like I've got life by the balls. Eureka is a bizarre, multi-faceted place that changes every time you try to pin it down. If you've never made a trip to "North" Northern California, start planning. It's where they filmed the Ewok sections of Star Wars, for chrissake!